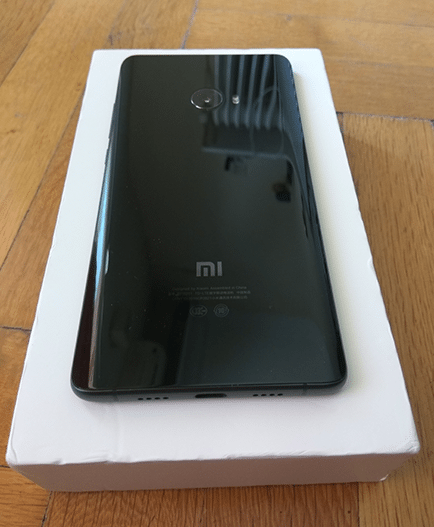 Xiaomi is a Chinese manufacturer that develops smartphones, cameras, computer gadgets, even laptops lately. The company is known for its high quality and performance devices, compared to their low prices. Below we are going to review the company's first model with global LTE bands, Xiaomi Mi Note 2, a very promising high-end smartphone with a curved display. 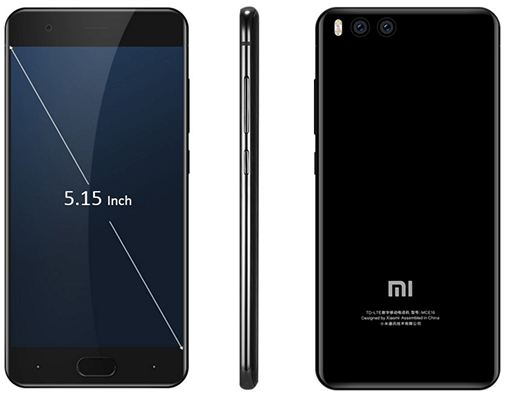 What is your opinion for Xiaomi Mi Note 2? With a quick look at the outside, you may have the feeling you've seen this phone before. You are right. Xiaomi Mi Note 2 looks very similar to Samsung Galaxy Note 7. Some users online were quick to call it a ripoff, mostly because of the 5.7-inch display with dual curved screens, just like Samsung's display. It is more than obvious that these two phones share a lot regarding design, but we can't tell if Xiaomi wanted to copy Samsung's high-end model. However, between the two companies, Xiaomi was the first to introduce the curved design way back in 2015 with Mi Note. 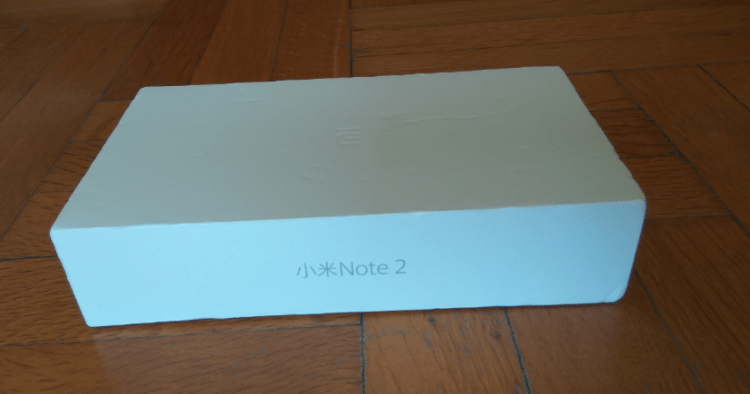 Xiaomi Mi Note 2 was launched in November 2016, but unfortunately, it didn't receive a lot of attention. We can assume it was overshadowed by Xiaomi Mi Mix, the company's bezel-less 6.4-inch model that was released at the same time. 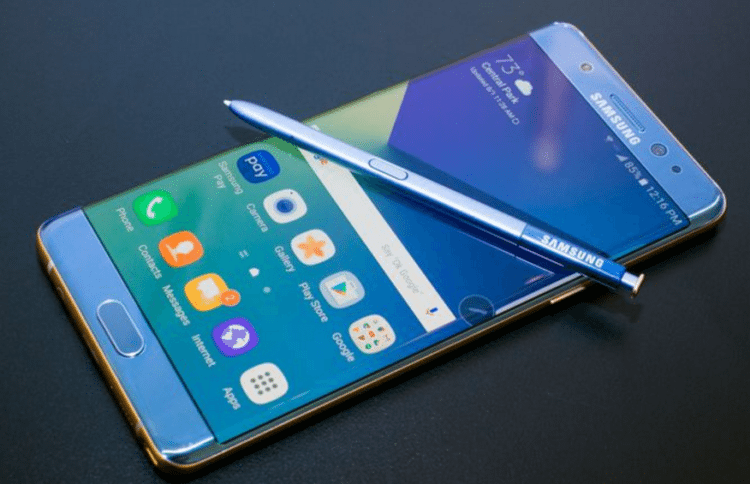 No matter the case, Samsung Galaxy Note 7 is dead, and whether if Xiaomi ripped off its design or not, Mi Note 2 has completely different specifications, and it certainly is more than a clone. 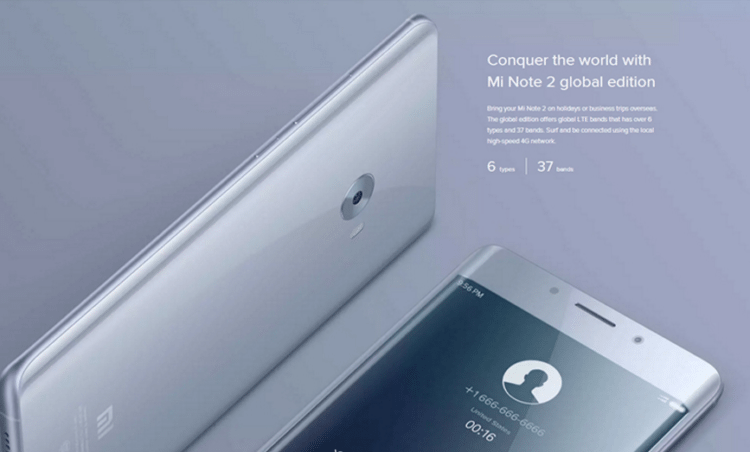 Xiaomi Mi Note 2 comes in two variants, with 4GB RAM and 64GB storage space, or 6GB and 128GB of storage. It doesn't support any external memory, but the internal storage is more than enough to cover our daily usage. 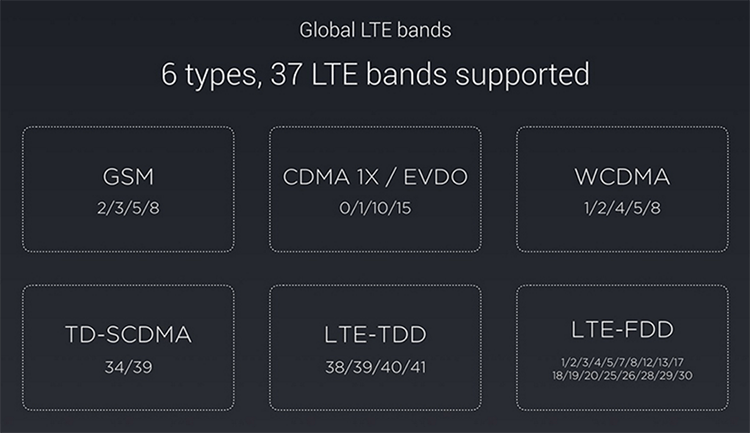 The device features two nano SIM slots, and there is a global version of the premium edition that supports all LTE bands. For those out of China, this is the version you should choose. All models come with the Qualcomm Snapdragon 821, which is a high-end quad-core model developed in 2016, with Adreno 530 for graphics. 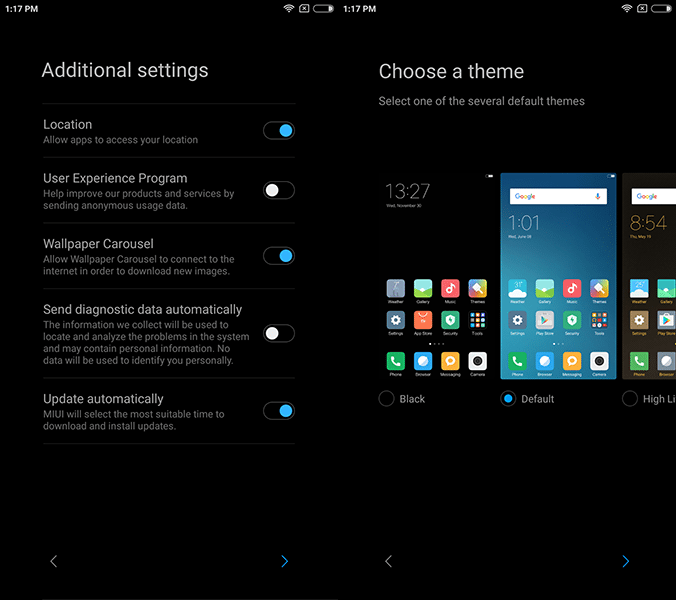 Furthermore, Mi Note 2 runs Android 6 (Marshmallow) with MIUI 8, Xiaomi's custom skin. It is worth mentioning the fingerprint sensor, which we will find on the home button. The sensor is fast and accurate already, but the fact that it is on the front of the device makes it even more convenient to unlock it as quick as possible. The curved display is at 5.7-inch and has a FullHD resolution. It is an OLED display manufactured by LG, with 386ppi and a diamond pentile matrix. Last but not least, Xiaomi Mi Note 2 comes equipped with two cameras; 8MP at the front and one 22.5MP with a flash light at the back. It also has anti-shake, face detection, and other functions, while it is capable of shooting video at 4K. 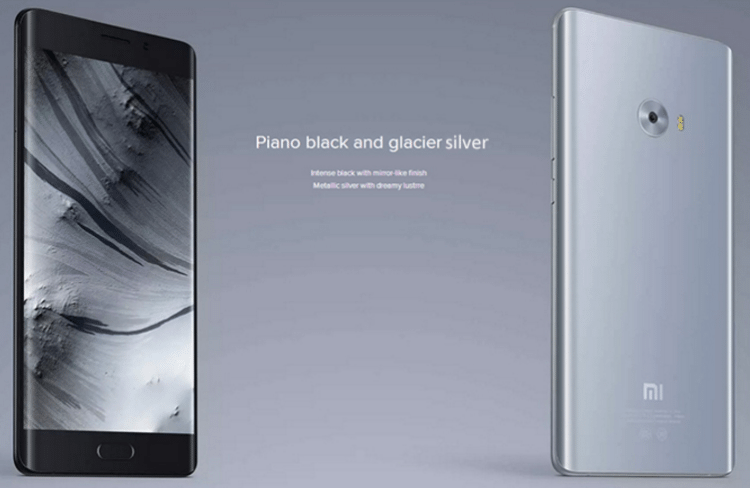 Xiaomi Mi Note 2 is available in two colors, Glacier Silver, and Piano Black. Below you will find all the specs in detail. At this point, we would like to thank GearBest that provided us with a sample to review. 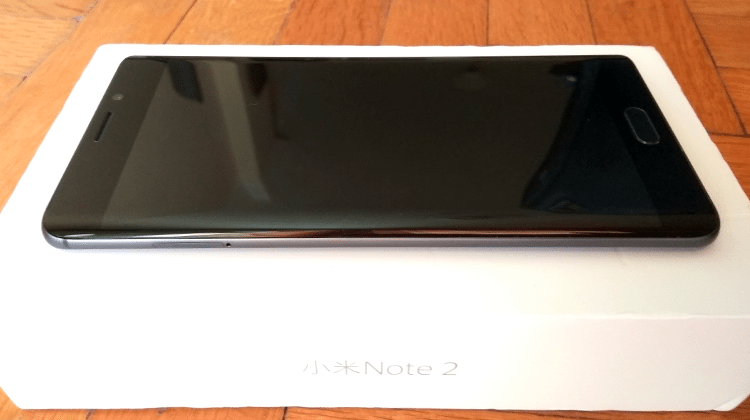 Our model is the global version with 6GB/128GB in Piano Black color. 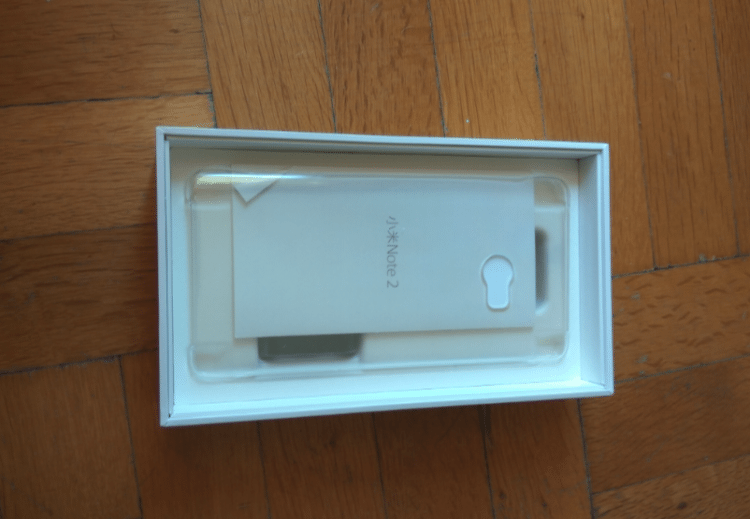 The box is white and minimal, with only a logo at the top and the phone's model on the side. Ours had some scratches on the front, but it was a sample, so we can't complain. 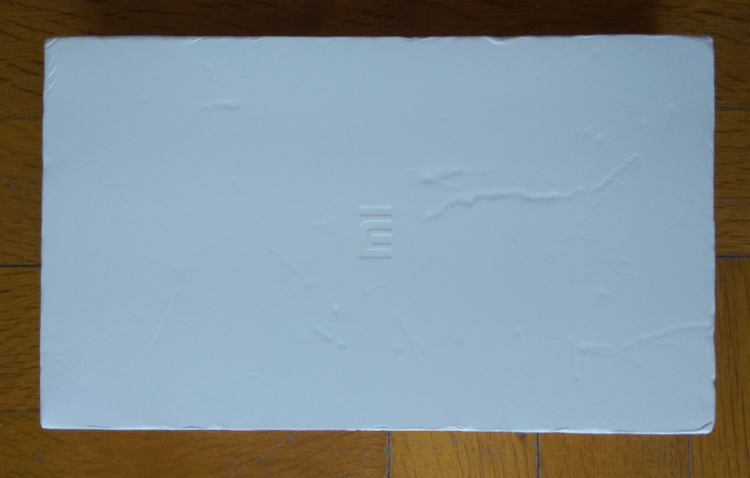 On the back, we can see the smartphone's specifications if by any chance we happen to speak Chinese. 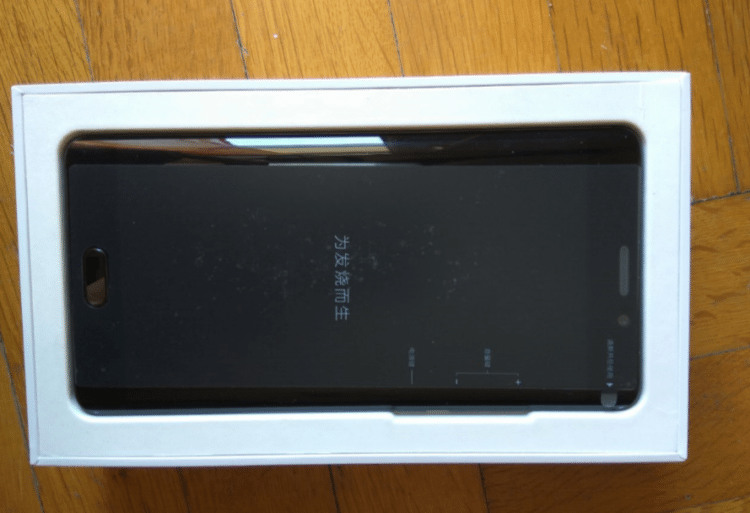 The first thing you see when you open the box is Xiaomi Mi Note 2 sitting at the top, covered with a plastic membrane. Below we found the manual and a plastic case for the phone's back. The manual is written in Chinese as well, and on the last page, there is a metal SIM needle. 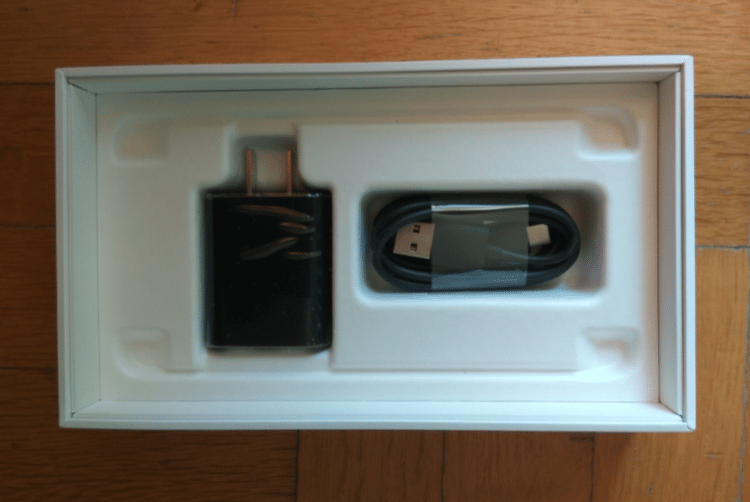 Finally, at the inner layers, we found the charger along with a USB-C cable. Once we removed the plastic membranes from the front and back of the phone, we were amazed by its quality and feel on our hands. 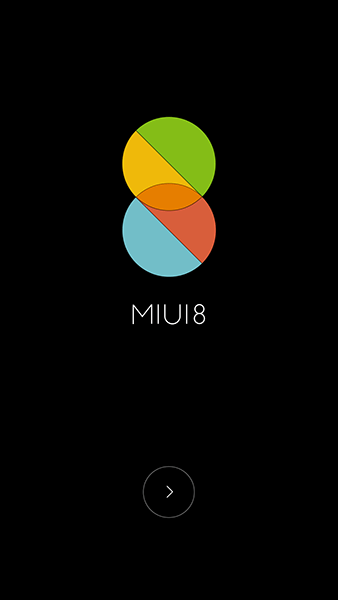 On the first boot, we are welcomed by an MIUI 8 logo. 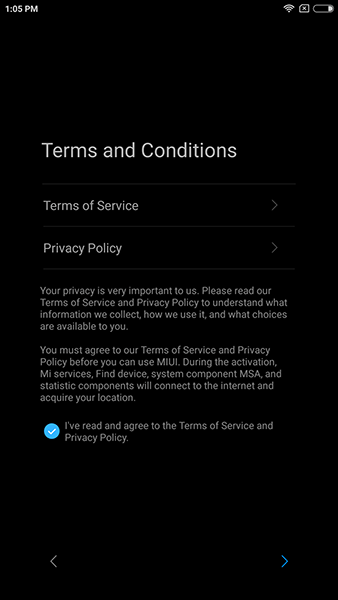 ...we will need to accept the terms and conditions. 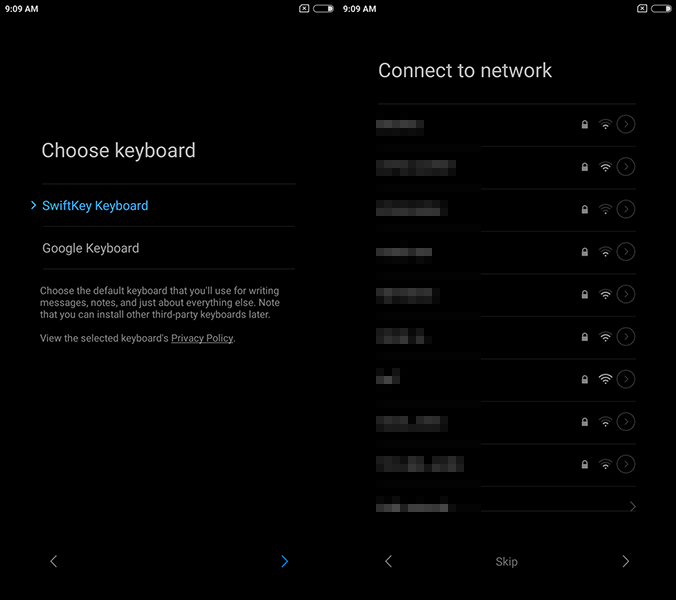 After that, we can add our Google and Mi accounts - if we have any - or create new ones. Xiaomi Mi Note 2 also asks for our fingerprint. 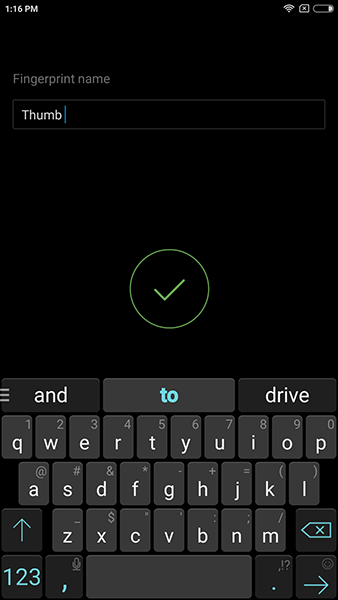 We can skip this step, or add a fingerprint to unlock your device. Once we finish with the additional settings, we can choose one of the three default themes. At this point, the setup has completed, and we can move on our home screen. 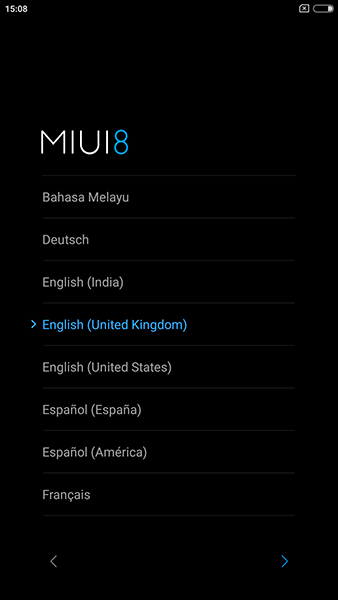 Our device came with MIUI 8.2 Global which was the latest version as of this writing. 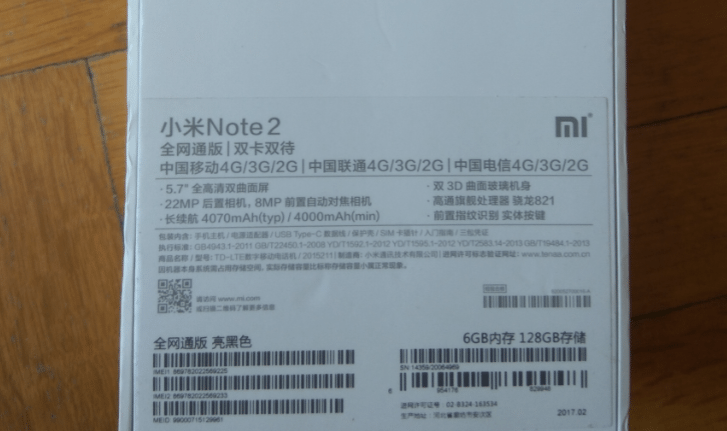 Xiaomi has already rolled out Android 7.0 (Nougat) updates for some devices, but Xiaomi Mi Note 2 is not one of them yet - at least not for a stable version. However, the company has opened a beta program for testers of Nougat on this device, which means that Mi Note 2 will receive the update very soon. 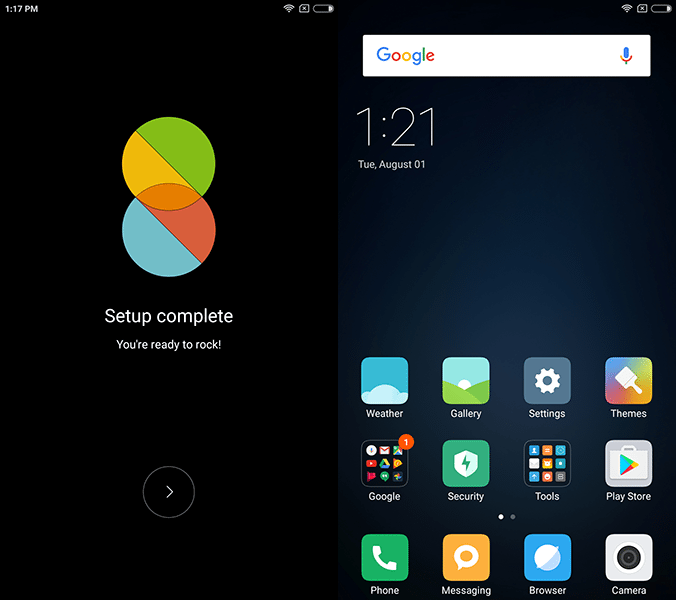 As for MIUI 9, which is based on Android Nougat, the updates are expected to roll out in the next few months. 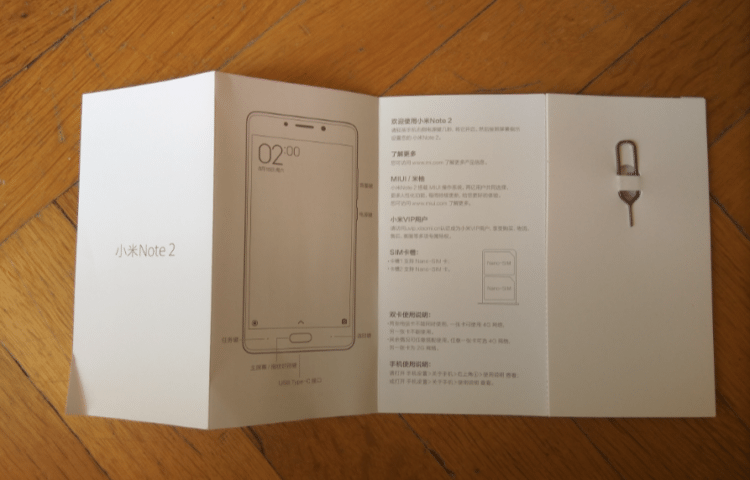 Xiaomi Mi Note 2 feels sturdy, and we could tell that it's built with high-quality materials just by looking at it. 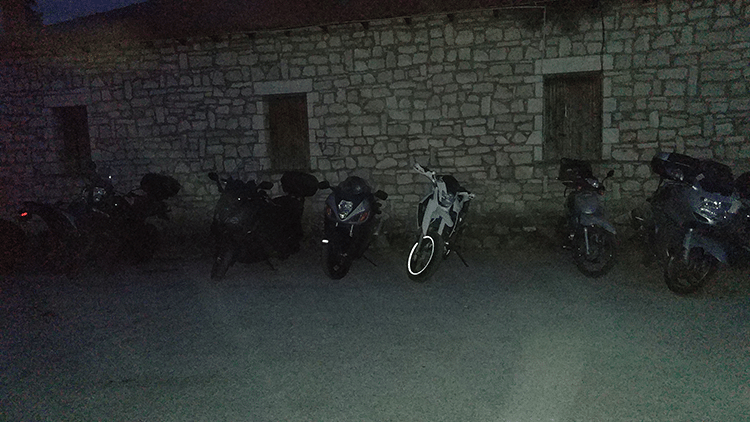 In general, after a couple of days of full usage, it amazed us with its design and performance. The phone has a glass back with minimal details, which gives it an exquisite look. Along with the curves on the front side, it gives a nice feeling to the touch. There is a disadvantage with glass though, and that is that it gets fingerprints all over the place. You will need to wipe it very often if you want to keep it clean, but we wouldn't call that a problem by any means. The front side is minimal as well, where the home button is the only physical button. It works as the fingerprint sensor, which is a more than welcome feature. The capacitive buttons on left and right don't show any particular icon; they appear just as simple dots. That makes it easy to switch them if you like and choose whichever you prefer to be the back button. The curved screen has an OLED panel, which is a bit different than Samsung's AMOLED screens. 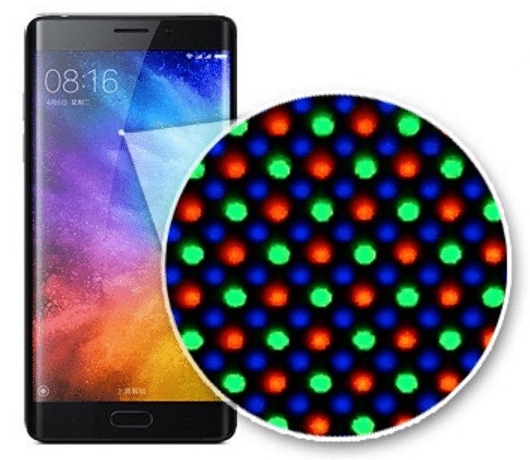 AMOLED panels have twice as many green pixels compared to blue and red, whereas OLED has twice as many blues. This may be the reason there is a slight bluish coloration when you look at the display from the sides. Although noticeable, it didn't bother us at all. Plus it has all the benefits of AMOLED displays, such as deep blacks, high contrast, and accurate colors. 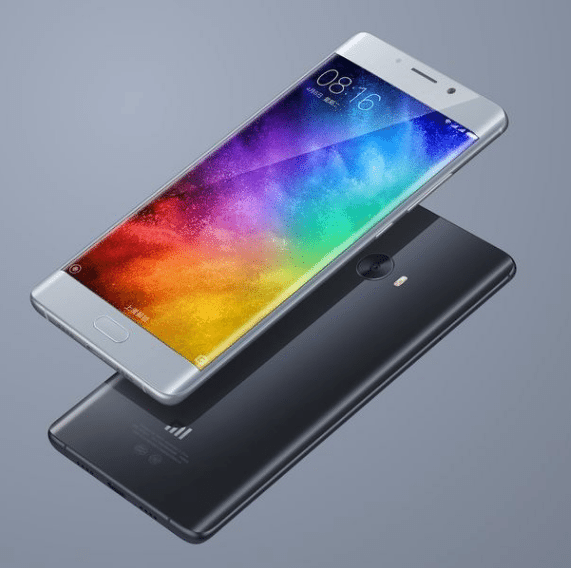 Unlike other flagship models, Xiaomi Mi Note 2 has a FullHD resolution instead of QuadHD. 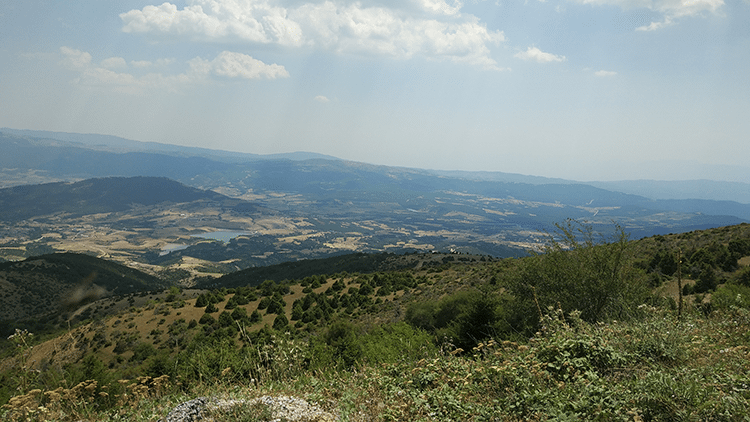 The result should be a less sharp display than QuadHD resolutions, but we if you don't do a side by side comparison, you can't tell the difference. The front camera is an 8MP f/2.0 with an aspect ratio of 16:9. It is a very decent selfie camera with proper focus features that result in very detailed close shots. There is also a 22.5MP camera at the back with an aperture of f/2.0 as well. 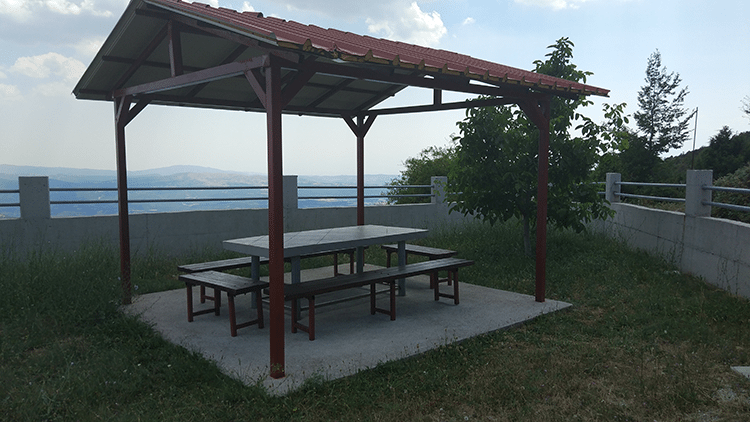 The quality of photos in daylight is excellent, with no noise, accurate details, and vibrant colors. Here are some of the photos we shot. In low light situations, the result is not as good, but it's still more than decent. Here you can find all the pictures in full resolution. 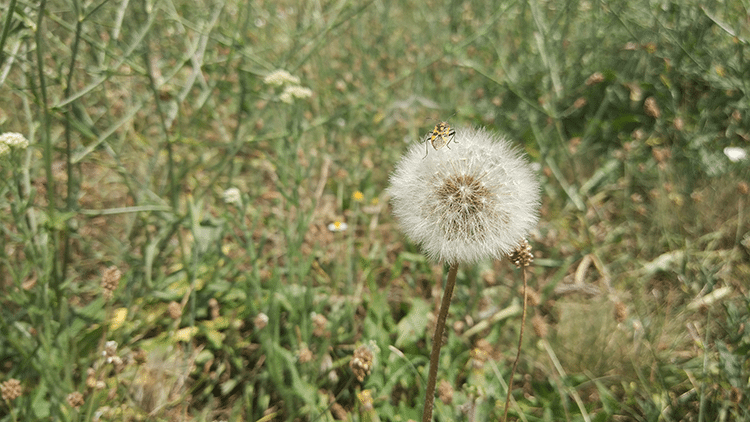 The camera application is pretty straightforward, and both cameras are very quick at focusing and shooting a photo. As for video recording, Xiaomi Mi Note 2 can shoot 4K with a 42Mbps bitrate. We liked the quality in the video we tried to shoot, as the colors were great. You can find some noise if you are looking for it, but other than that, the back camera did great. You can check for yourselves in the videos below. 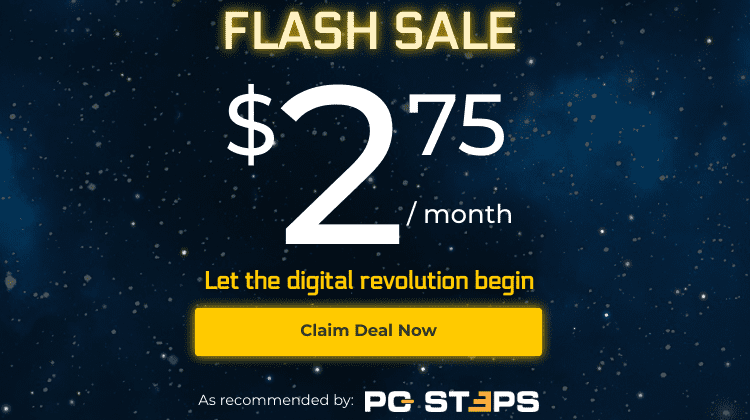 Click on the Full-Screen icon to get the best resolution your screen supports. With smaller resolutions comes longer battery life, and that is the case with Xiaomi Mi Note 2. The 1080p display is not much for a 4070 mAh battery, and thus it can last for more than a day with average usage. On our tests, we tried gaming, browsing, YouTube videos, and the battery lasted for almost 8 hours of screen-on time. 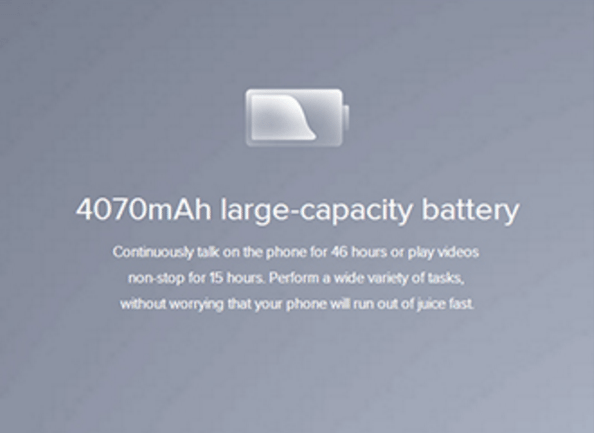 Moreover, with fast charging, we can get back up to 80% of battery in less than 30 minutes. We didn't have any complaints about the phone's performance whatsoever, but of course, you can't take our personal opinion for granted. 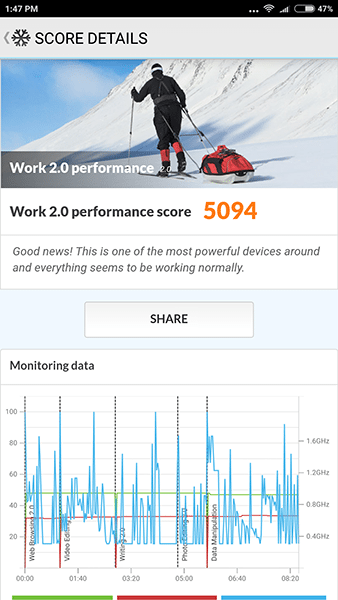 Therefore, we run some benchmarks to measure how Xiaomi Mi Note 2 can handle different tasks. In the end, we will compare it with Xiaomi Mi6, OnePlus 3, and iPhone 7 plus. 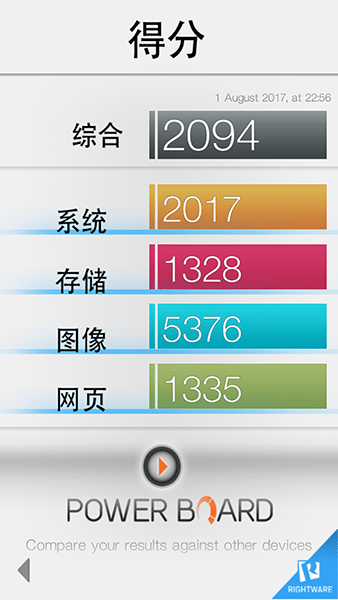 In our tests, we used Chrome, and Xiaomi Mi Note 2 scored 8632 points. 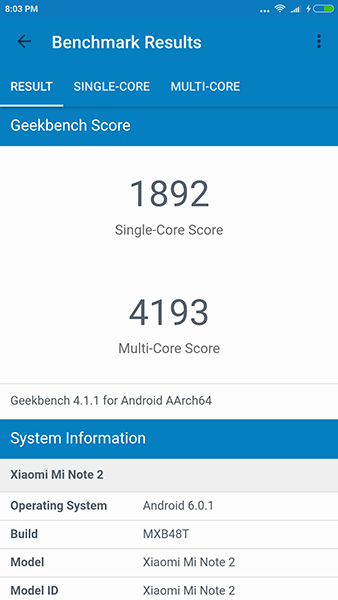 This benchmark measures the processor's power, and we did expect that Xiaomi Mi Note 2 would score high. However, it fell short of Xiaomi Mi6's 6240 points. 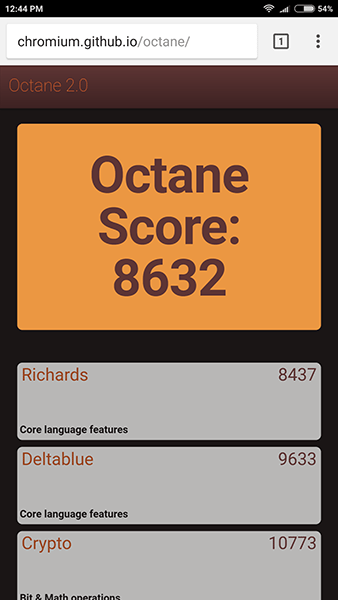 On PCMark, we can see a very high score as well. 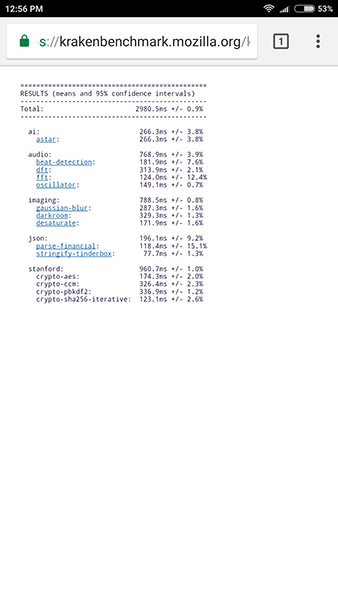 This test has a series of measurements for single and multicore performance, as well as the storage space. We scored 2094 overall, which is not as high as we expected. 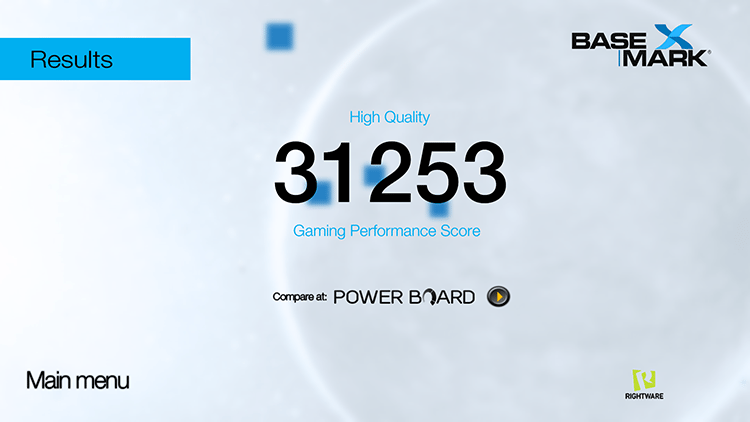 The result in the gaming benchmarks was at 31253 points, which is much lower than Mi6, as we will see below. 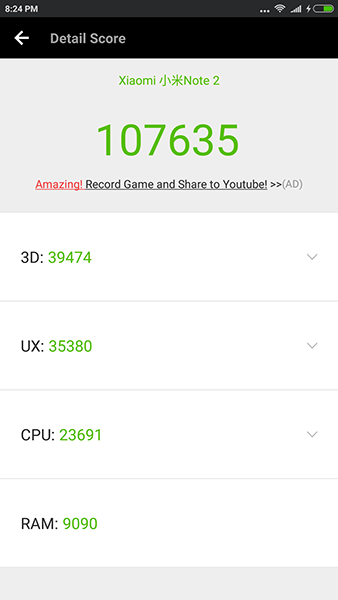 On AnTuTu Xiaomi Mi Note 2 scored 107635 points overall. 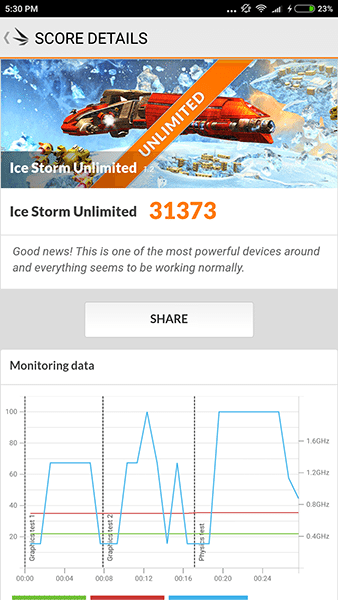 However, we have seen the same device to reach at least 140000 points on other benchmarks online. Although we run the test several times, we couldn't get as high as that. Thus, we assume that a different ROM, or even overclocking on a rooted device, may have a better impact on the phone's performance. 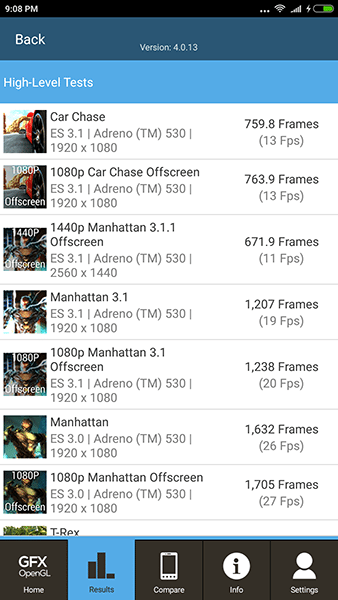 Finally, we run the famous Manhattan tests for onscreen and offscreen. Below we have a comparison with the newer Xiaomi Mi6 (Snapdragon 835), as well as with OnePlus 3 and iPhone 7 Plus. 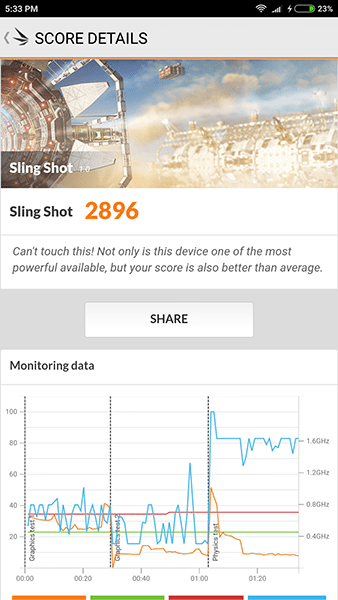 Although Xiaomi Mi Note 2 didn't top any of the benchmarks, overall the Snapdragon 821 did a great job and managed to deliver high-end results. We should point out that we run our tests several times to avoid any mistakes. 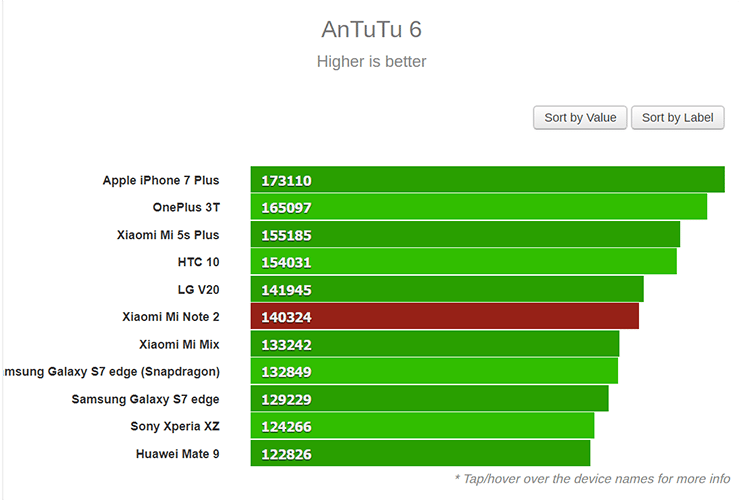 As we already mentioned, we expected a bit higher scores, especially in benchmarks such as AnTuTu. We believe this is due to the ROM. 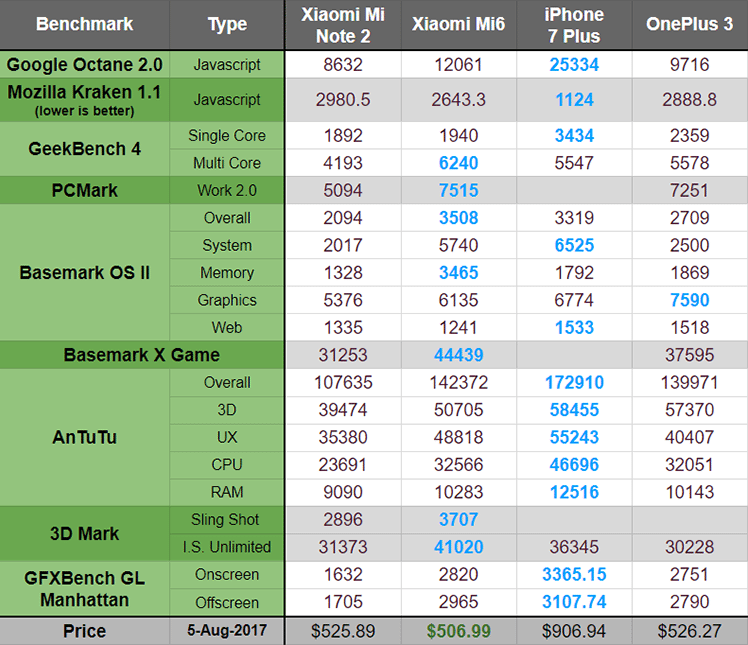 iPhone 7 plus won in most results, but we have to consider that it costs almost twice as much as Xiaomi Mi Note 2. As for Xiaomi Mi6, it is normal that it scored higher as well since it is powered by the latest Snapdragon 835. 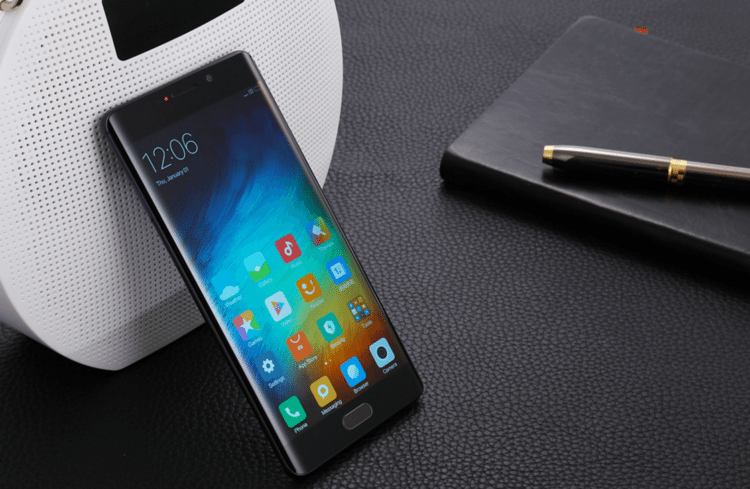 Xiaomi Mi Note 2 Global (6GB/128GB) is currently available at the price of $525,89. 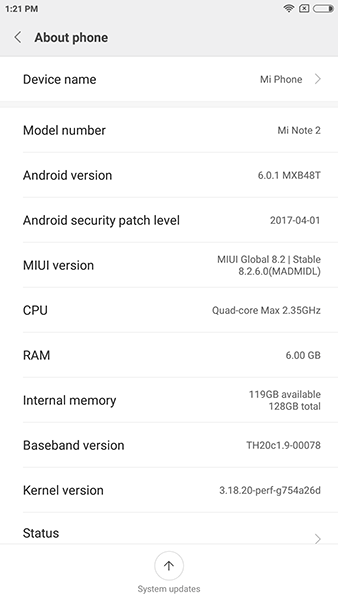 Xiaomi Mi Note 2 is a great device overall. It is a true flagship device, and we recommend it for users that want a high-end smartphone with an elegant appearance. Since it has the same price as Mi6, you may consider the second if you want a slightly higher performance, smaller screen - although not by much, and dual back cameras. On the other hand, if you want a curved screen and global support for all LTE bands, Xiaomi Mi Note 2 can be an excellent choice. Xiaomi already announced the next product line, which will debut at the end of August 2017. It may be worth waiting for Xiaomi Mi Note 3. 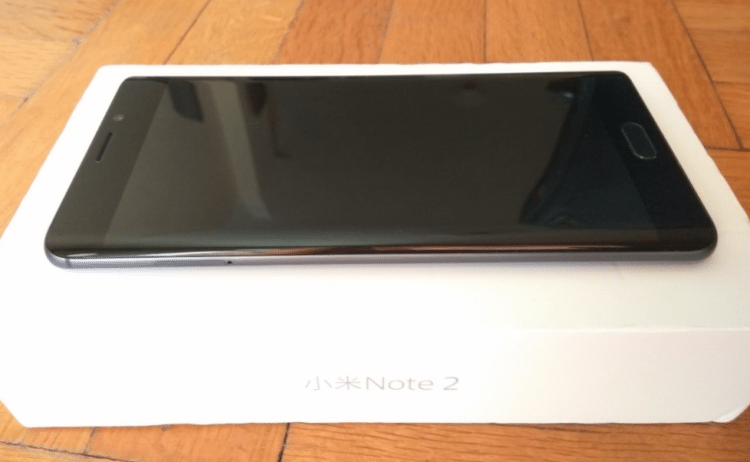 Did you like Xiaomi Mi Note 2? Would you like to see more product reviews? Leave a comment below.